Governor is a type of mechanical device which is generallyused to determine and regulate the speed of the engine to the desired level. It is a particular feedback system used where is the need to control variation of load present in the system. The main purpose of the governor is to control the flow of fuel into the engine to maintain a constant speed hence sometimes it is known as speed limiter. When the load of an engine increases the speed of engine decreases and vice versa when the load on engine decreases speed of engine increases. This is where governors play an important role to increase or reduce the fuel flow to engine according to the requirements. 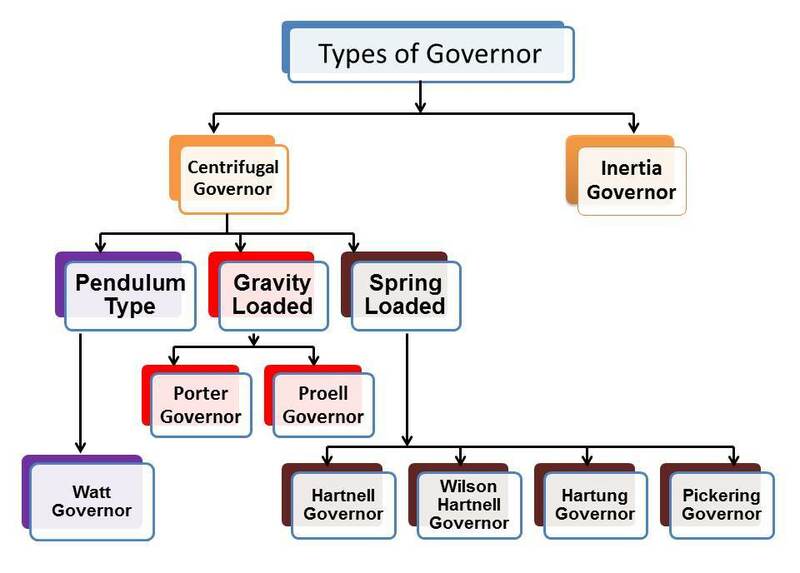 The Governors are mainly divided into two types i.e Centrifugal Governor and Inertia Governor. These are further divided into following types according to their design. In Centrifugal Governor only centrifugal force and change in speed are responsible for controlling the actions. It widely used due to the variety of applications and mostly preferred when balance on the masses is needed in the operation. It works on the principle of balancing centrifugal force of the rotating balls. A Centrifugal Governor has a simple design. This type of governor has multiple masses known as governor balls which rotate at the distance from the axis of a shaft and driven through suitable gearing from the engine crankshaft. It has two balls of equal masses attached to the arm. These balls are provided by the combination of dead weight or spring. Spindle axis is connected to the sleeve and driven by bevel gear mechanism connected with crankshaft. Throttle valve is connected to the sleeves and operate by the actual change of speed of engine. As load increases speed got decreases and the speed of governor ball as well as governor also decreases which is geared with the crankshaft. It works as the mechanical link between the throttle which is responsible for fuel supply and the speed. The governor balls revolve with spindles and create a centrifugal force in the inward direction which is generally known as the controlling force. A governing action is depends upon the change of speed and centrifugal force provided by the balls. As soon as the throttle valve opens it increase the supply of fluid increasing speed of the engine. The inward and upward movement of the ball is transmitted by the governor sleeve to the throttle valve which controls the amount of fuel supplied to the engine. As soon as the shaft rotates, the object start rotating around the shaft and goes away from it due to action of centrifugal force which operate the throttle valve. 1. Easy to balance revolving parts. 1. Slow response and less sensitive. 1. It limits the rotation speed in the internal combustion engine of automobile and keep it controlled according desired speed. 2. It is used to control speed of turbine shaft in Hydro-electric power plant. 3. Centrifugal governors are also used to control speed of mechanical music box. The Centrifugal Governors are further classified into two types. Pendulum and spring control governor. Watt Governor is a pendulum governor according to their design. It is oldest and simplest type of Centrifugal governor. Previously it was used by James watt in his steam engine. In Watt governor two balls are arranged on the sleeves consisting arms. Upper side of the arm is connected to the spindle to move the ball in the upward and downward direction when they revolve with Spindle. The lower arm is connected to the sleeve which is joined to the spindle to operate the throttle valve. 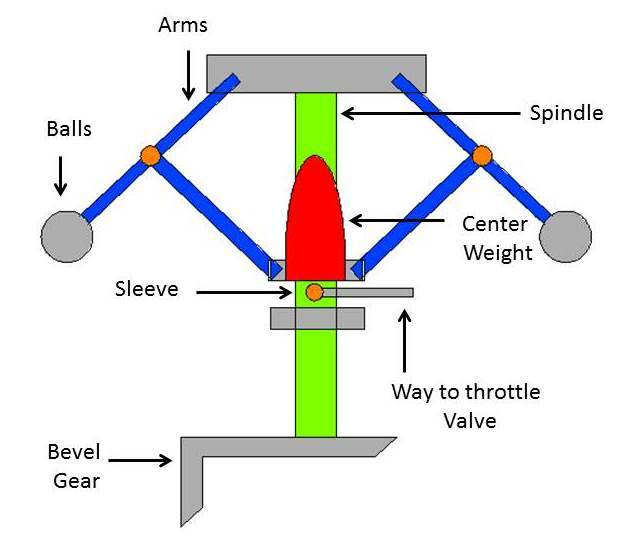 The spindle gets drives through a bevel gear and two stoppers are provide to the bottom and top of the spindle to restrict the movements of the sleeves. When the load at the engine increases the angular velocity as well as speed of the engine automatically decreases. At the uniform speed controlling force is equal to the centrifugal force which balances each other but when centrifugal force on balls decreases, the balls and spindle start to move inward and downward direction, respectively. These movements are responsible for the mechanism of the throttle valve and cause it opening widely which increases the fuel supply to maintain the speed. 1. suitable for only vertical position application. 1. It is used in ship and train to maintain the speed of engine. 2. It can be used in AC generators to maintain electric supply. There are two different design of gravity controlled centrifugal governor. It is a dead weight loaded type governor works on the action of gravity. Porter Governor is a modification of Watt governor. In Porter Governor two balls are located at the top and load is attached to the sleeves. The lower link is connected to central sleeve and two stoppers are provided to control the movements of sleeves. A mechanism is attached to the sleeves to operate the throttle valve. The balls tend to moves up and down on the spindle due to the speed of revolution of the spindle. As load at the engine decreases speed of the engine as well as spindle also tends to increases. 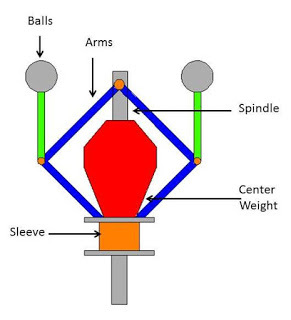 Centrifugal force is responsible for movement of balls in the upward direction while lower armpushes the sleeves upward to move the ball outward. These movements actuate the throttle valve and fuel supply gets decreases through the mechanism connected to the sleeves. It is another type of governor works on the gravity control. The function of porter and proell governor are same with little difference in working. The construction and working of the Proell Governor is nearly similar to the porter governor. Here revolving balls are attached to the extension link situated at lower part and it reduces the change in the speed responsible for movement of the sleeves. The movements of sleeve and balls operates the throttle valve and decreases fuel supply to the engine. There are four different design of spring control governor. Hartnell Governors consists two bell cranks situated the different points of the frame. A frame is attached to the spindle, each lever carries a ball to the horizontal roller at the end of vertical arm. 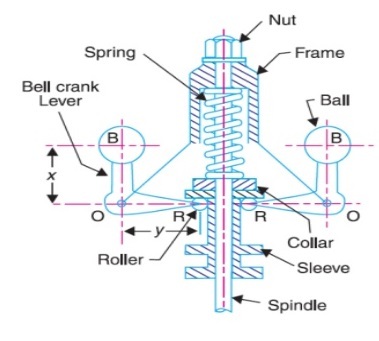 The helical ring is provided to maintain the equal level force on the rollers and arrangement of the screw is there to adjust a force of the spring. The working of Hartnell governor is depends on control of spring force. Here spring rotates around the spindle axis and controls the movement of the ball and sleeves. 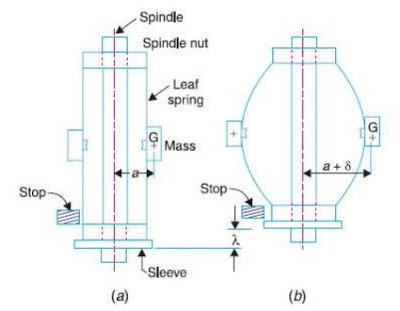 The spring applies the downward force while sleeves move upward and downward depending on the speed. Two bell cranks situated at the frames carries a ball at one end and roller carry it at the other end. 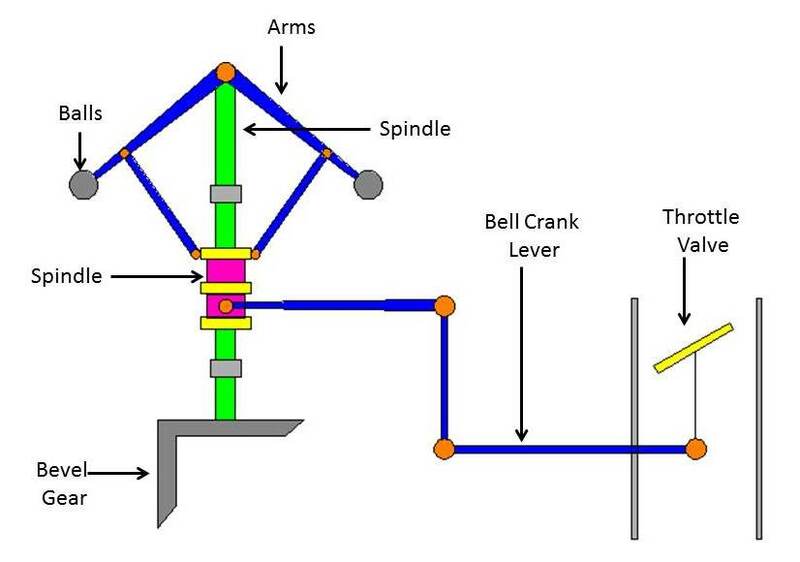 As speed of the engine increases ball moves outward and bell crank lever moves at the pivot lifting sleeves upward against the spring force. These movements then passed to the throttle valve with the help of mechanism and it results in lowering fuel supply as well as speed. 2. Pre-compression can be adjusted to achieve desired equilibrium speed. The balls are associated with the vertical arm and attached to the spring arranged on either side of the sleeves. The spring consists two parts which belongs to the each ball. At the horizontal arm roller comes into contact with sleeves and press it and make the bell-cranks to rotate along the spindle. Speed tends to improve the ball movement and spring gets exerted at the inward pressing roller against the sleeves due to centrifugal force. One end of the spring is attached to the spring and other is connected to the lever and it tends to remain the sleeves down. This is another type of governor work on the principle of controlled by the movement of spring. In Hartung type governor bell crank levers are connected with the rotating spring balls. These balls are compressed against the frame of the governor while rollers are pressed against the sleeves at the horizontal arms. In Pickering Governor there are three springs arranged around the spindle. The arrangement ids angular and each spring hold similar weight at the centers. The revolving balls act against these flat spring and weights move outwards. Spring tends to bend as the ball rotate about the axis of the spindle with greater speed. Inertia governor is completely different from the centrifugal governor. The combination of angular and centrifugal force is used to control the position of the balls as well as operation of the Governor. Since it is not very popular, it is preferred when a rapid response is the main concern. It works on the principle of movement of inertia due to both centrifugal and inertia force. This type of governor is connected to the crankshaft and flywheels of an engine. The governor balls are arranged in such a way that the position of it is affected by the force due to angular acceleration of the shaft. A suitable spring is loaded inside the governor to control the amount of displacement of governor balls and the mechanism of governor alters the supply of energy to the engine. 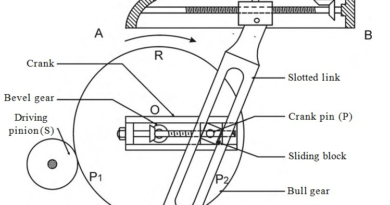 In inertia governor more rapid response is obtained to the change of load as the position of the balls are affected by the rate of change of speed of the governor shaft. This type of governors action is depends upon acceleration and not due to the finite change in speed. A movement of the ball is controlled by spring and mechanism of governor and through this the supply of air fuel mixture can be controlled. 2. It is used in a diesel engine to control speed of the engine at a particular set point. This is all about what is governor and types of governor. If you have any query regarding this article, ask by commenting. If you like this article, don’t forget to share it with your friends on social networks. Subscribe our website for more informative articles. Thanks for reading it. ← What is Stress? What are main Types of Stress?